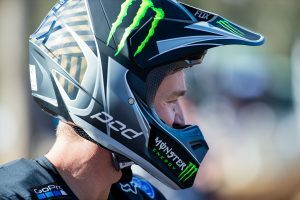 New South Welshman 10th on debut with Serco Yamaha. 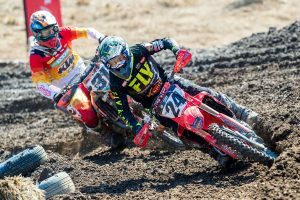 MX2 contender Aaron Tanti believes he ‘threw away’ a good result at Appin’s opening round of the 2019 Pirelli MX Nationals, which saw the second motos of the day cancelled due treacherous and muddy conditions. 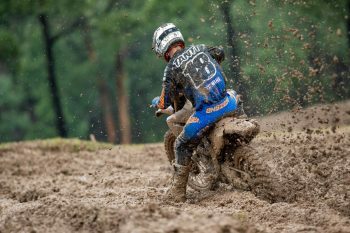 Tanti, on debut with Serco Yamaha, made a mistake in the mud while holding down second which later promoted additional issues for him in the eight-lap encounter, suffering numerous falls before crossing the line in P10. “That was such a frustrating race,” Tanti declared. “I was in second and not even thinking about anything other than keeping out of the mud and keeping my momentum going but I made a mistake and went down which made riding so hard. The New South Welshman, who won the opening round in 2018, is looking to make amends at Wonthaggi’s second round, scheduled for 31 March in Victoria.